“Na Payera” is a New Nepali Song under the pop genre. Kamal Khatri with his sweet voice sings the song perfectly. 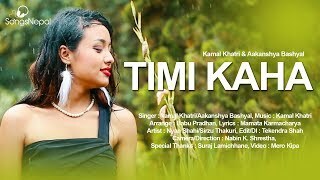 The Lyrics of the melodious song was scripted by Himanshu Rayamajhi whereas the music was created by Kaamal Khatri himself and Rikesh Gurung “Keys” is the arranger of the song. Deep, Srijana and Dimple are the starring models of the music video. The Music video was captured by Milan Shankar and edited by Suprim Parajuli. The direction of the videography is done by Dilip Saman and the post production was done by Manoj Joshi.